Inside the body, inflammation can be your friend -- or wreak havoc with your health. On the friendly side, inflammation helps your immune system defend your body against disease-causing bacteria, viruses, and other foreign invaders that would otherwise make you sick. The not-so-friendly part is when inflammation occurs without cause -- in other words, when your body isn't under attack from foreign invaders. When an overactive inflammatory response happens, it can become damaging. Diseases like arthritis are one example. Also, diabetes, heart diseases, cancer, and Alzheimers have all been linked to long-term (chronic) inflammation. So what can you do about inflammation? Eat a healthy diet, for one thing. Research is finding that diet can play an important part in reducing inflammation. Certain vitamins in particular may help control inflammatory processes. Serra Enzyme™ is the Serrapeptase enzyme that earned the title... ‘The Miracle Enzyme’. Serra Enzyme™ 80,000IU tablets are Nutrateric® enteric coated, phthalate free, and are taken on an empty stomach to ensure that they are activated in the small intestine rather than in the stomach. There are no known side effects or interactions with any prescription drug or other supplements. Vitamin A is an antioxidant. That means it protects against harmful substances in your body called free radicals, which can damage DNA and lead to cancer and other diseases. Vitamin A also has anti-inflammatory effects. 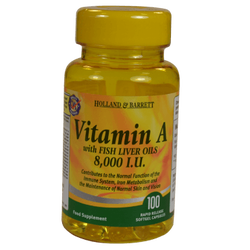 A lack of enough vitamin A has been linked to inflammation in the intestines, lungs, and skin. The body is constantly ridding itself of it, so you need to restock it daily through diet.